“Ole!” Granny cried, as the cape flapped around. The bull steamed and snorted and pawed at the ground. Granny McFlitter’s knitting needles have been in a blur, whipping up an entry for the local A&P Show’s ‘Best Vegetable Knitter’ competition. But all of a sudden, the A&P Show turns to chaos when a bull breaks out of his pen. Before you could say “Mighty mad macho moo”, he's trampling pavlovas and sponge cakes. 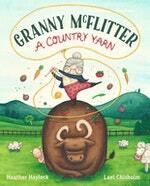 Everyone dives for cover – but not Granny McFlitter. She has a plan to capture the bull with – you guessed it – her knitting needles! A brand new, fabulously funny, rhyming read-aloud story from acclaimed author Heather Haylock and Storylines Gavin Bishop Award-winning illustrator Lael Chisholm. 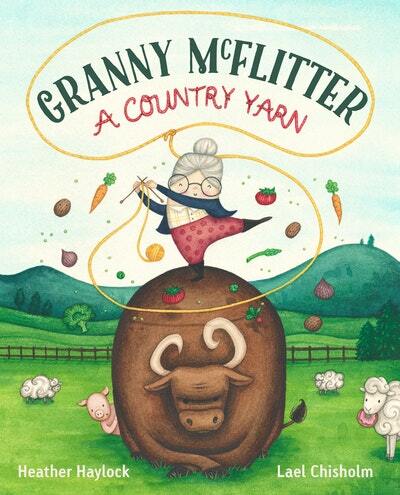 Love Granny McFlitter: A Country Yarn? Subscribe to Read More to find out about similar books.